The official weigh-ins for “UFC on FUEL TV: Munoz vs. Weidman” take place today inside HP Pavilion in San Jose, California. Stream Tuesday’s weight contest live right here on 5thRound.com starting at 7PM ET/4PM PT. 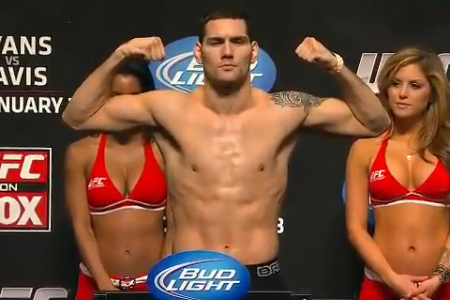 Middleweights Chris Weidman (Pictured) and Mark Munoz headline the freebie fight card. A light heavyweight battle between James Te Huna and Joey Beltran serves as the co-main event. Tomorrow’s FUEL TV broadcast begins live at 8PM ET/5PM PT.